With it's glass breaker pommel, the Browning Black Label Eradicate is an excellent manual folding knife for rescue purposes. 440 stainless steel, tanto blade with a black stonewash finish. 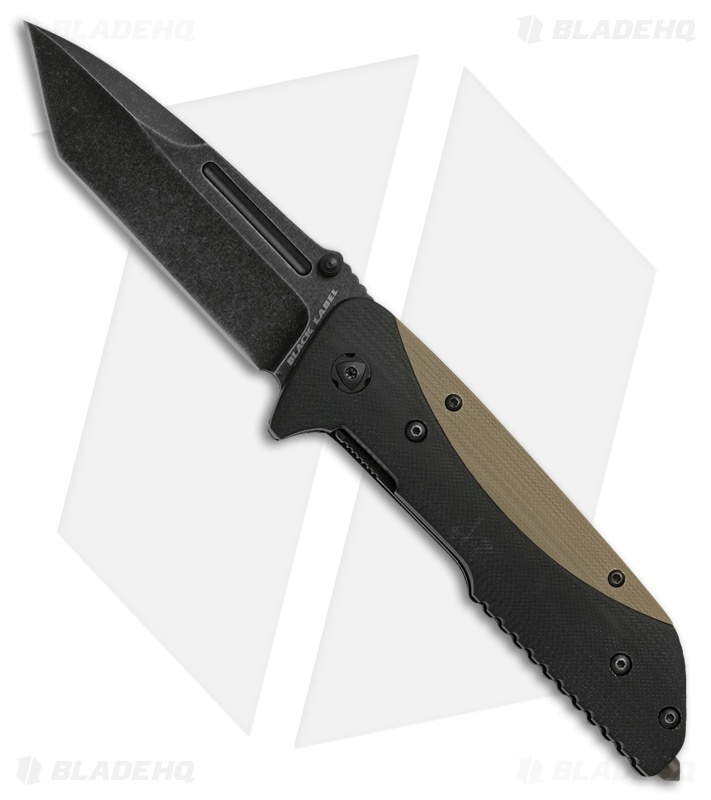 Black G-10 handle with a tan G-10 insert and liner lock structure. Comes with stainless steel pocket clip.